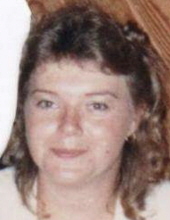 Pamela Reid Roberts, age 58 of Danville passed away Tuesday, February 5, 2019 at her residence. She was born June 11, 1960 in Danville, VA to David Wallace Reid and Deanna Clifton Reid. Pam was of the Baptist faith, cared deeply for her family, loved animals & working with computers. In addition to her parents she is survived by an uncle Otha G. Reid, Jr. (Sarah) & Family of Martinsville, VA, two aunts Betty Jean Campbell (Donald) & Family of Danville, VA and Elease C. Bolton (Bill) & Family of Danville, VA; numerous cousins Mitzi Wyatt Cassidy (Shawn) & Family and Marti Wyatt Chattin (Robert) & Family, Sheila Doss, Renae Doss, Leslie Starling and family, Don Campbell and Ronda Parrish and family all of Danville. She was predeceased by a brother Wallace Keith Reid; aunt & uncle Jerry L. & Dawn C. Wyatt; cousin Rebecca Reid Stump; grandparents Garland & Stona Reid and Elbert & Ruby Clifton. Norris Funeral Services, Inc. and Crematory, West End Chapel, 511 Church Ave. Danville is serving the Reid family. Online condolences may be made at www.norrisfuneral.com. To send flowers or a remembrance gift to the family of Pamela R. Roberts, please visit our Tribute Store. "Email Address" would like to share the life celebration of Pamela R. Roberts. Click on the "link" to go to share a favorite memory or leave a condolence message for the family.